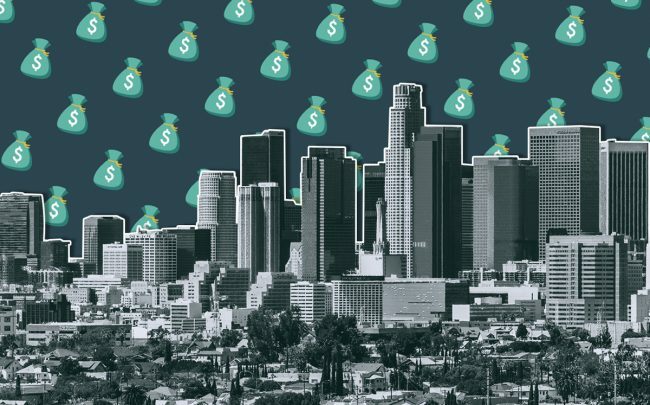 Los Angeles and Orange County homeowners collectively have $760 billion in real estate equity, tops in the nation. With median-priced homes remaining out of reach. for average-earning residents in the U.S., residents in those two counties that can afford high-priced homes collectively own $760 billion in “tappable equity,” according to a study by real estate analyst Black Knight, as reported by Curbed. That $750 billion number comes despite a $40-billion drop since last summer, according to the report. L.A.’s equity dwarfs the $395-billion mark in New York City, and is twice that of the entire state of Texas. The real estate values were determined by calculating the amount of funds that can be accessed by selling, taking out loans or making a cash-out refinance to replace mortgages with larger loans.